Any one of the 8 million Americans who suffer bone fractures each year knows how hard it is to wait for the bones to knit, or heal. Bone healing is also important for integration of dental implants for people with missing or damaged teeth. Regenerating Bone: A research team at Pacific Northwest National Laboratory is addressing these issues by developing safe, effective and inexpensive implant materials to promote bone regeneration. And the team was recently awarded a grant from Washington State's Life Sciences Discovery Fund (LSDF) to test them. 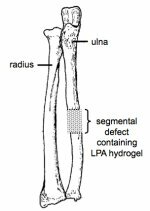 Dr. Norman Karin, a biologist at PNNL, has identified a lipid growth factor called lysophosphatidic acid (LPA) that promotes bone healing in preclinical models with no apparent toxicity. "LPA can be manufactured for a fraction of the cost of currently available bone healing stimulators," he said. PNNL's project is titled "A Cost-effective Hydrogel-growth Factor Complex to Improve Bone Healing." 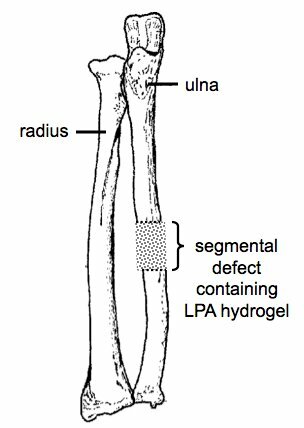 It will combine LPA with hydrogels as injectable orthopedic and dental implant materials to stimulate bone formation. This approach could also lead to advanced technologies of interest to the military. Method: The research team will embed this growth factor in proprietary hydrogels to create an implant that will release the growth factor in a controlled fashion. In collaboration with Washington State University, the researchers will then test the ability of the implants to stimulate bone regeneration in experimental animals. If successful, the investigators will continue to develop and pursue commercial licensing of the implants for both human and veterinary clinical use. PNNL recently filed a patent on the use of this growth factor-hydrogel complex for the stimulation of bone healing. The LSDF was established in 2005 to support research in and promote life sciences competitiveness, enhance economic vitality, and improve health and health care of state citizens. PNNL's proposal was one of six that received an award. Karin is the principal investigator in this 3-year, $1.03 million program. 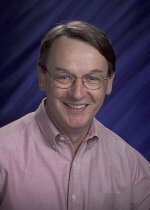 His research team includes PNNL colleagues Drs. Wendy Shaw and Barbara Tarasevich, and Dr. Steven Martinez, a veterinary surgeon at WSU.